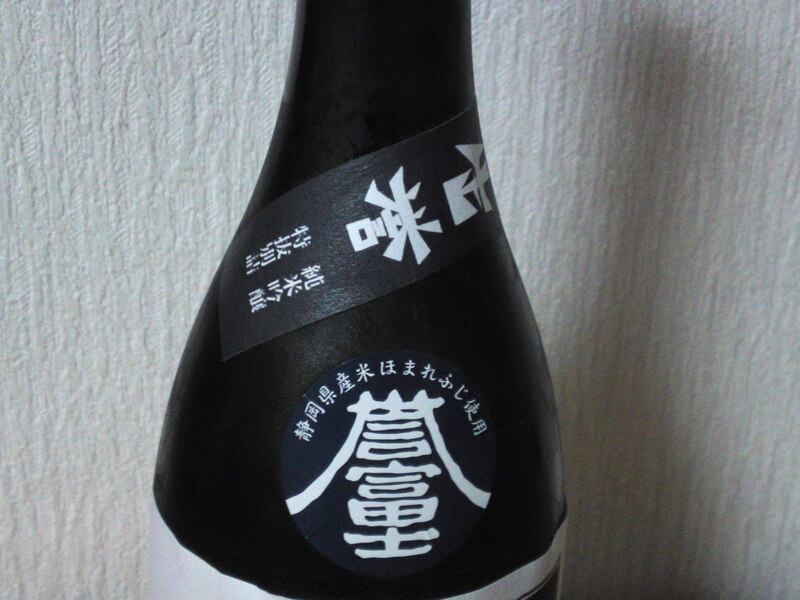 Homare Fuji sake rice grown in Shizuoka Ptrefecture doesn’t need much to be introduced any longer, but the difference is that many local breweries are tackling the more difficult ginjo level with it and successfully at that! 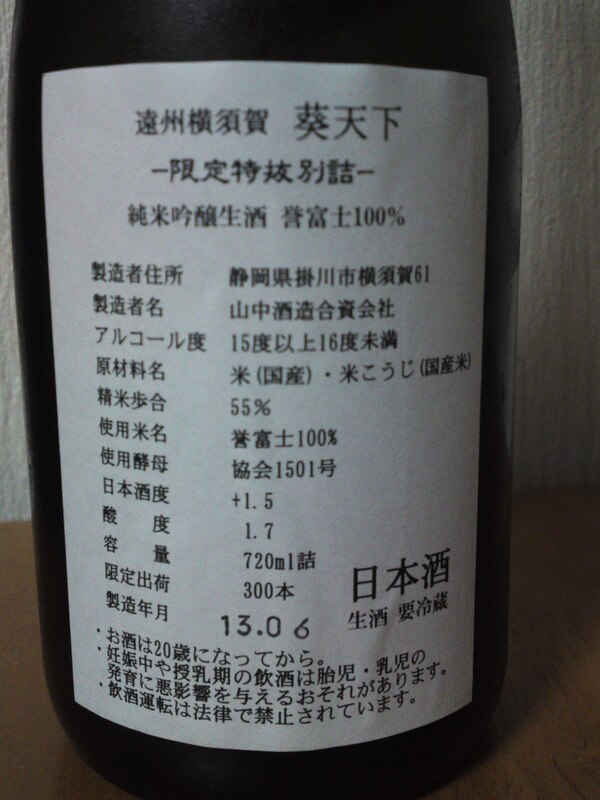 More than two thirds of the Shizuoka Prefevture breweries are creating sake with Homare Fuji! With the recent inclusion of Mount Fuji as a World Heritage will tempt collectors! 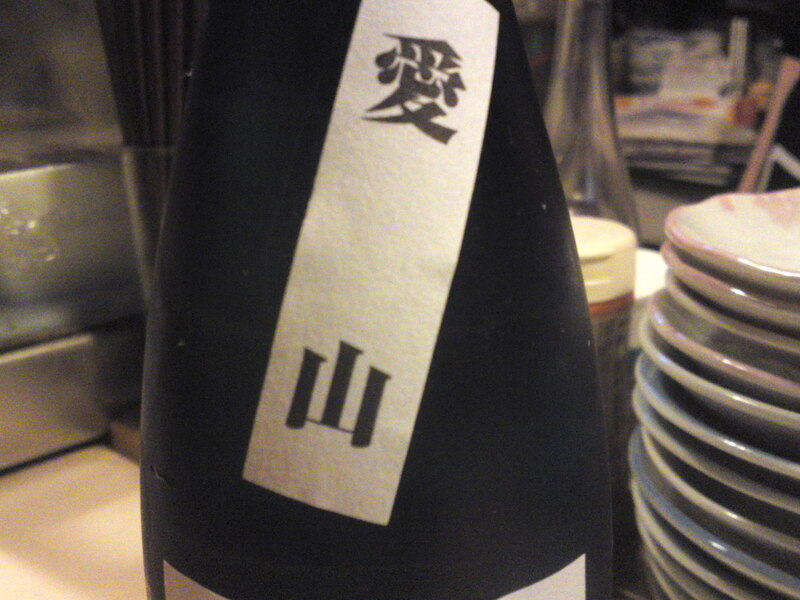 Taste: Strong dry attack backed up by puissant junmai petillant. Bananas, oranges, nuts, almonds, walnuts. Disappears fairly quickly on a very dry nutty note. For all its seemingly announced little dryness, the sweetness is counterbalanced by the high acidity, for a beautiful balance. 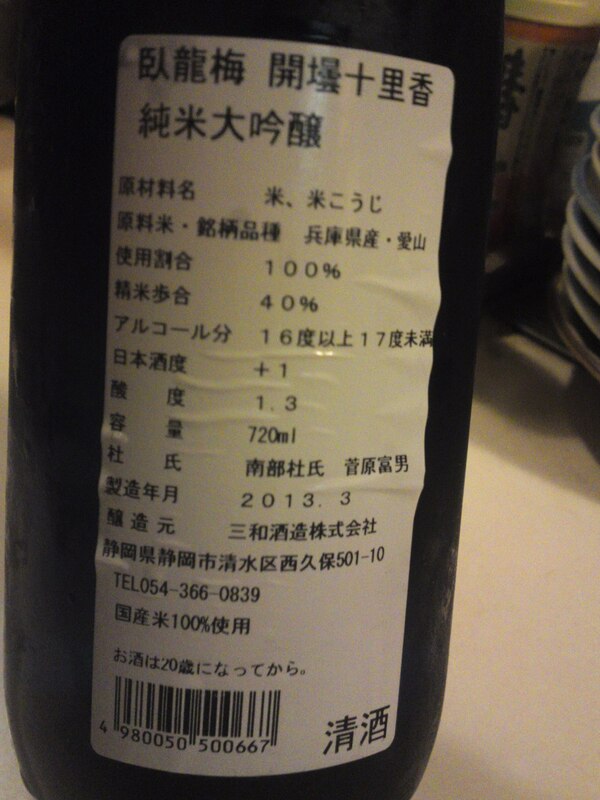 Overall: A strong dry fruity nutty and very assertive sake. Drinks superbly with any food. Probably bets appreciated slightly chilled. 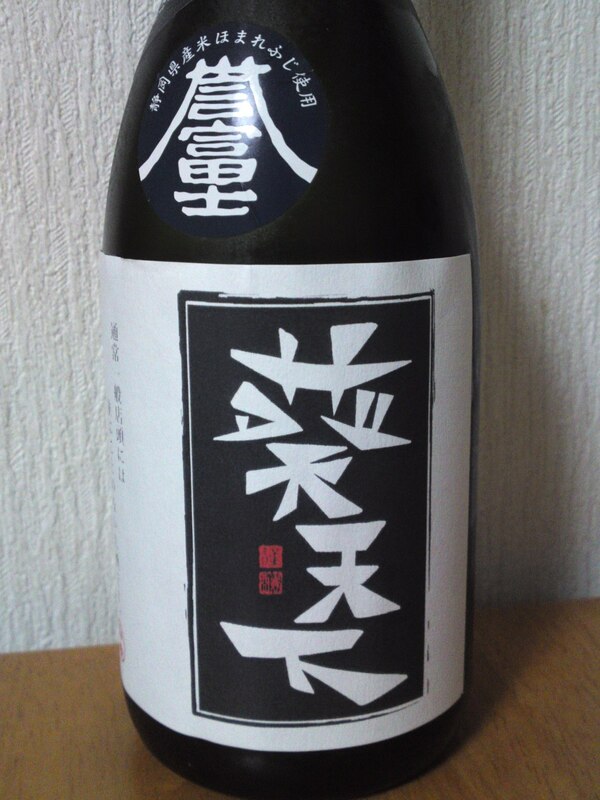 Although eminently enjoyable on its own, this is a typical sake from Yamanaka brewery (Kakegawa City) with intriguing complexity and fruitiness, making it the perfect sake to enhance food, especially of the better kind, be it Japanese or Western. 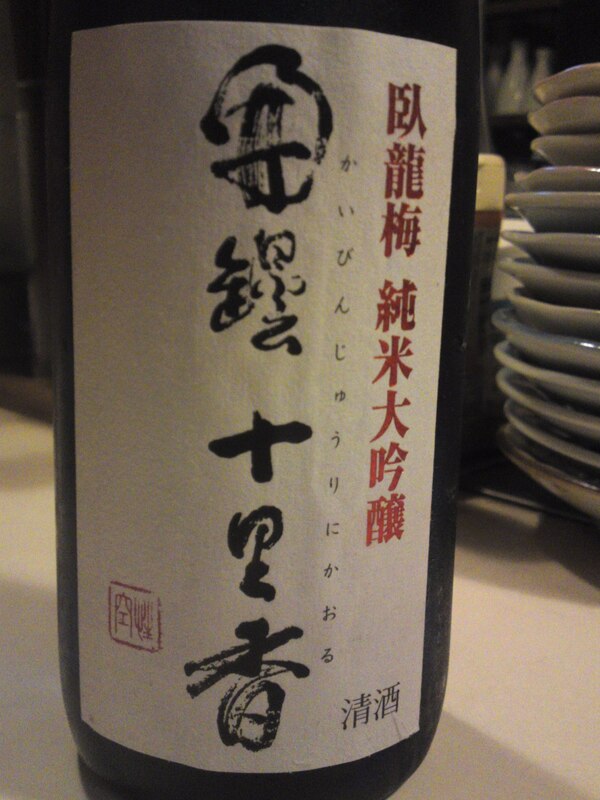 Shizuoka-grown Homare Fuji sake is definitely coming of age! Sanwa Brewery in Shimizu Ku, Shizuoka City is a bit of a maverick in Shizuoka Prefecture as they are the only one brewery in Shizuoka Prefecture not using the Shizuoka yeast. Moreover they do not participate to sake competitions organised by the Association of Shizuoka Brewers in spite of their membership. The result is that their sake, although celebrated beyond our borders, are difficult to obtain even in Shizuoka as they are distributed only by a few sake shops. I nonetheless, and especially the Missus and ladies in general, like them and am always looking for limited brews such as this one! Taste: Dry, well-rounded fruity attack backed up with puissant junmai petillant. Disappears fairly quickly on a somewhat drier note. Apricots, nuts, almonds, macadamia nuts, faint hints of coffee and dark chocolate. Although obviously to be enjoyed on its own drinks well with food with little change. 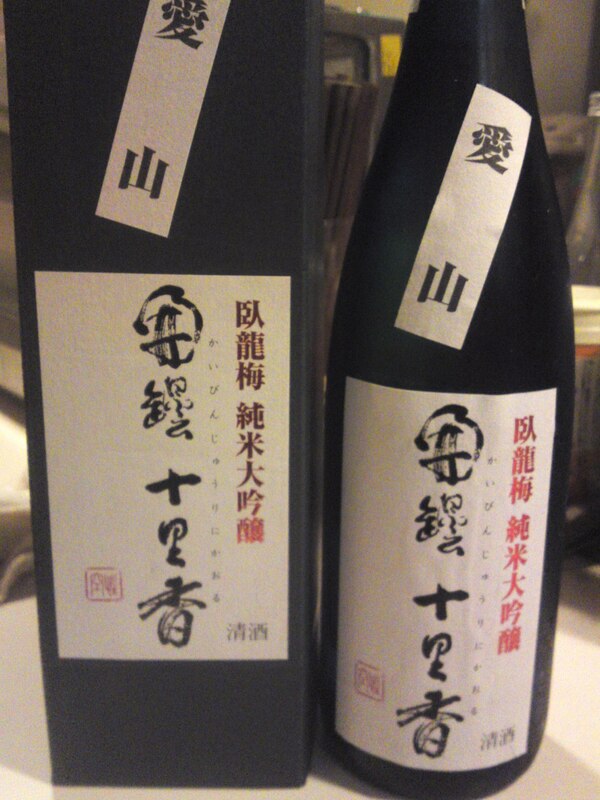 Overall: A beautiful, almost mysterious sake. Splendid aperitif although I suspect it would make for the perfect night cap with a special chocolate. To be drunk only in the company of connoisseurs or lovers!